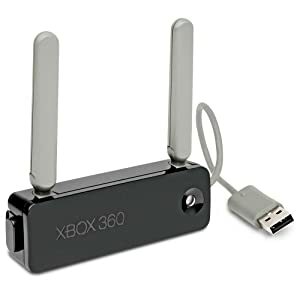 For those looking to play online on thier Xbox 360 without the need for cables all over the place there is one official option available as far as wireless routers go. The Xbox 360 Wireless N Network Adaptor is currently on offer from Amazon priced at £39.99, and a look around other online retailers shows a wide price range for this price of kit, ranging from this price upto £49.99 from Game.co.uk. You will have to go back to January 2010 for the last time the Wireless N Network Adaptor dropped to this price. Click here to buy from Amazon at the price of £39.99. This entry was tagged offers, online gaming, xbox 360 accessories, Xbox 360 Wireless N Network Adaptor. Bookmark the permalink.